Send a 3D model to a print service or local 3D printer. Supported 3D printing services include “IMaterialise”, “Sculpteo”, ”Shapeways” and “3DHubs”. Use of these services is subject to any associated restrictions and may require additional licensing and fees. 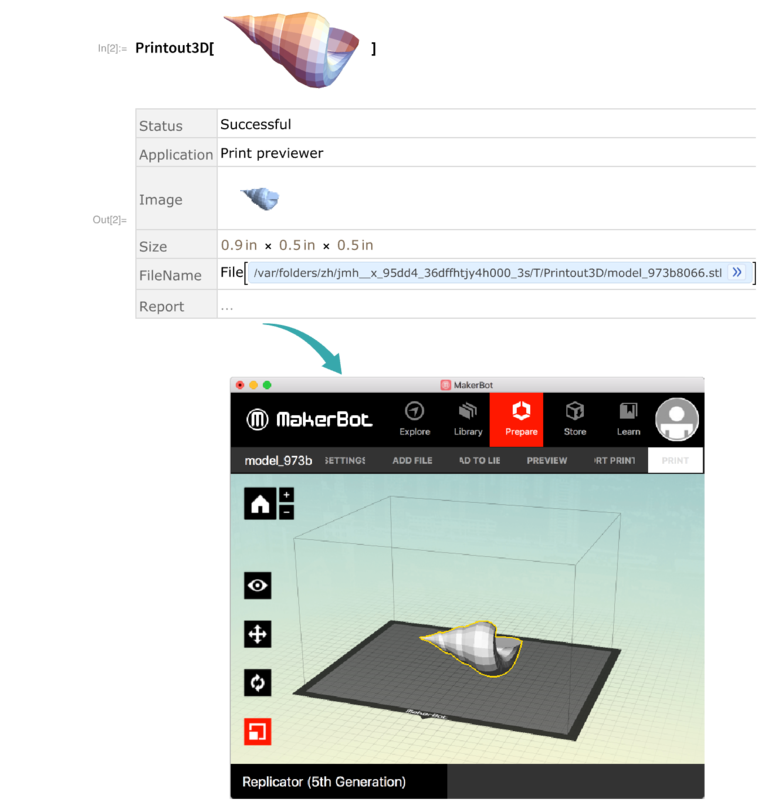 The application opened to connect to the local printer is specified by $Printout3DPreviewer. 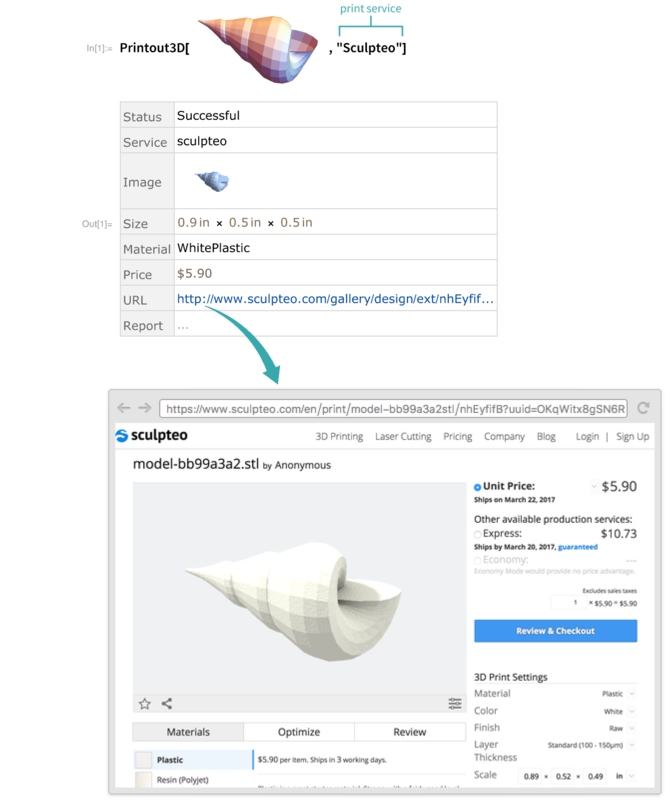 By default, Printout3D will use the default program for STL files. Local printers are only available in the desktop environment. Printout3D works on solid Graphics3D, MeshRegion and BoundaryMeshRegion expressions. Printout3D will attempt to automatically repair mesh defects. If a model has defects that cannot be automatically repaired, it may not print correctly. Supported 3D printing formats include "STL", "OBJ" and "DAE". Other 3D formats can be used but may require conversion before printing. If no path is given in the file name, Printout3D will save the model to your working directory as given by Directory.